A Vindication of the True Art of Self-Defence. 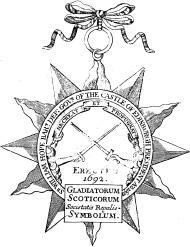 With a PROPOSAL to the Honourable Members of Parliament, for the Erecting A Court of Honour in Great-Britain. Recommended to all Gentlemen, but particularly to the Soldiery. To which is Annexed, A Short but very useful Memorial for Swordmen. Sir William's final work consists of a long discussion of the morality of personal combat, concluding that dueling is immoral, which contains many interesting and quotable sections. It finishes with a discussion and clarification of the New Method, suggesting some techniques and pointing out that those who choose the New Method are not obliged to completely abandon the quarte and tierce of the common method. A revised 'abstract', the final development of what was first seen in the Vade Mecum, is included.